In California, “Assault with a Deadly Weapon upon a Police Officer” is charged under Penal Code 245(c) PC. This crime is a straight felony that cannot be reduced to a misdemeanor. Any crime against a police officer carries devastating consequences. Prosecutors treat all crimes against police officers extremely serious under the rational that law enforcement risk their lives to protect and serve. Additionally, the prosecutor will allege this offense to be a “strike” applied to California’s Three Strike Laws. This article focuses on 9 important things you should know about Assault with a Deadly Weapon Upon a Peace Officer. 1. What is the Definition of Assault with a Deadly Weapon upon a Peace Officer? 2. What Does the Prosecutor Need to Prove for this Crime? 6. You knew or reasonably should have known that the person was a peace officer. 3. What are the Legal Defenses to ADW upon a Peace Officer? • You were mistakenly identified as the suspect who committed the offense. Police officers are perfectly capable of misidentifying suspect via cross-racial identification, poor lighting, and other factors. • The police officer is lying or substantially exaggerating the circumstances. • You did not harbor the requisite intent to commit an assault rather it was an accident. • The object or instrument was not capable of causing great bodily harm. • You lacked the present ability to apply force to the police officer. • You did not know or reasonably believe your actions were against a police officer. Moreover, the police officer could be working under cover and never identified themselves as a police officer. • You were defending yourself against the unlawful performance of the police officer. For instance, the police officer’s use of force (excessive force) against you was unreasonable and you were merely responding in defense. • The person you’re alleged to have committed the offense against is not a public officer or firefighter. • You were illegally detained or arrested in the first place in violation of your Fourth Amendment right. 4. What is the Punishment for ADW upon a Peace Officer? If convicted of assault with a deadly weapon upon a police officer then you face 3, 4, or 5 years in state prison and a court fine not exceeding $10,000. However, in the event probation is granted, the court will impose community service, anger management, and other forms to rehabilitative counseling. In addition, this offense is categorized as a strike offense applies to California’s Three Strike laws. 5. What are Examples of a Deadly Weapon? Due to the severity of this offense, an extensive thorough investigation must be conduct on the validity of the government’s evidence against you. An investigation also entailing the defense seeking new or additional evidence in support of a defense. This may include, photographing the crime scene, interviewing or searching for witnesses, checking surveillance footage from adjacent businesses around the incident, and running criminal background checks on all the government’s witnesses. Furthermore, the lawfulness of the police officer’s performance may be called into question. Moreover, Mr. Rogers can file a Pitchess motion requesting opposing counsel turn over citizen complaints made against the officer who arrested you or the officer you’re accused of committing this crime against. Obtaining these complaints can be incredibly useful in your defense if the officer has a history of engaging in excessive force or his credibility in being truthful becomes an issue. 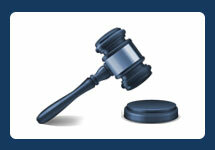 If you’ve been convicted of PC § 245(c), then you may be eligible to expunge your conviction under PC § 1203.4. Certain conditions apply to obtain this remedy however. For example, you must be fully completed with probation, obeyed all orders from the court, and paid all your fines and fees. Upon proper petition, the court will withdrawal its finding of guilt, enter a not guilty plea, and dismiss the case under the 1203.4 statute. From that point forward, you will be released from all penalties and disabilities resulting from your conviction. This remedy has a number of benefits in the private employment sector. If you suffer from a criminal conviction for assault with a deadly weapon, contact the Law Offices of John D. Rogers to discuss an expungement. 8. What are Examples of ADW upon a Peace Officer? 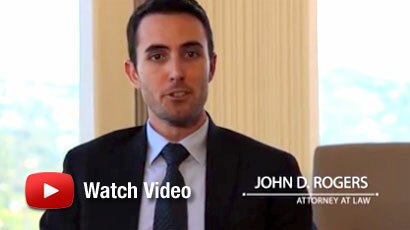 If you’ve been arrested, charged, or are under investigation for assaulting a police officer with the use of deadly weapon under PC 245(c), contact Assault Defense Lawyer John Rogers at the Law Offices of John D. Rogers for a free confidential consultation.